Arturo Uslar Pietri. 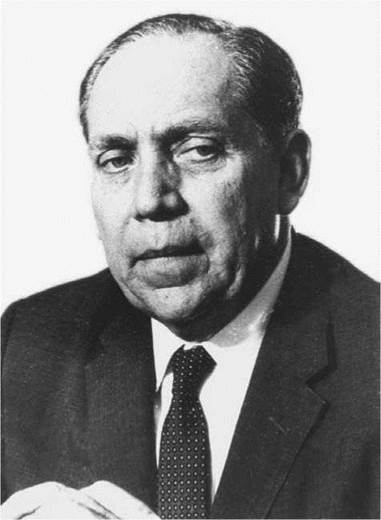 Pietri, Dr. Arturo Uslar, photograph. AP Images. Both a writer and a statesman, Arturo Uslar Pietri achieved recognition in Latin American literature primarily for his poetic fiction and his essays. The vividness of his writing, with its arresting similes and metaphors, won praise from a variety of critics, and he was called a master of the short story. One of the first writers to apply the term magic realism to Latin American fiction that juxtaposes reality and wondrous events, Uslar Pietri used the technique in his own writing, which often focuses on his native Venezuela. Youth and Wonderment in the Venezuelan Countryside. Uslar Pietri, born in Caracas, was the son of a general and attended private schools to prepare him for acceptance to the Universidad Central de Venezuela in 1923. When Uslar Pietri was eight years old, he and his family moved to Cagua, a rural town southwest of Caracas, where his father had been designated civil administrator. For the young Uslar Pietri, this association with the Venezuelan countryside was an unforgettable experience. During this first contact with Cagua and later during his stay in Maracay (1916-1923), Uslar Pietri was charmed by the wild nature that surrounded him and the almost magical atmosphere in which people lived. He collected and retained in his memory the superstitions, legends, fables, and tales of mysterious or extraordinary happenings circulating among peasants and farm workers. Uslar Pietri’s preference for rural settings in most of his short stories and his familiarity with the environment and psychology of country people cannot be understood without taking into consideration his Cagua and Maracay experiences. Law School and a Break with Regionalism. From 1924 to 1929, Uslar Pietri studied law at the Universidad Central in Caracas. These were important formative years in his life. He took part, with other members ofhis generation, in several tertulias, or social-literary gatherings. He was not only attracted by Spanish American modernistas but also by a variety of foreign writers: Henri Barbusse, Gabriel Miro, Azorin, Antonio Machado, Oscar Wilde, Leo Tolstoy, Vladimir Korolenko, and especially Leonid Andreyev. His early inclination to modernism, evident in his first poems and short stories, gave way to an increasingly sympathetic appreciation for the avant-garde movements. In the following years, he began publishing short stories and his first major work, Barrabas, and Other Stories. The impact of the book was extraordinary. Criollismo (local color) had dominated Venezuela’s literary world until then and was especially prevalent in the short story: use of regional attire, local symbols, countryside dialect, and a ‘‘picturesque’’ approach to reality was common. Barrabas, and Other Stories was a striking departure from that tradition. Three of its stories have Oriental settings; two have urban backgrounds; and another two take place on the high seas. Paris, City of Light. After graduating from law school in 1929, Uslar Pietri accepted an appointment as civil attache to the Venezuelan embassy in Paris. The next five years (1929-1934) were decisive in his intellectual and cultural development, as he told Margarita Eskenazi: ‘‘I left a backward, marginal and rural country without a publishing house, a symphonic orchestra or any signs of intellectual life. I felt privileged to arrive in the Paris of surrealism, a city with all kinds of literary opportunities. My life made a 180-degree turn.’’ Uslar Pietri took full advantage of the favorable circumstances offered by the new milieu. He attended the League of Nations meetings in Geneva and listened to Aristide Briand, Gustav Stresemann, and Arthur Henderson as they tried to chart a course for peace in a Europe stuck with the results of the ‘‘bad peace’’ (the Treaty of Versailles, which many saw as unbearably punitive toward Germany) that had concluded World War I in 1919. He also got to know artists and writers such as Paul Valery, Andre Breton, Salvador Dali, Luis Bunuel, Rafael Alberti, Jean Cassou, and Massimo Bontempelli. Two of the Latin American exiles he met in Paris, Alejo Carpentier and Miguel Angel Asturias, remained his close friends until the end of their lives. Entry into—and Exit from—Politics. In 1939, after returning to Venezuela with the onset of World War II in Europe, Uslar Pietri served first as a minister of education, then of finance, and finally the interior before a military coup in 1945 (coinciding closely with the end of World War II in both Europe and Asia) prompted him to take up temporary residence in Canada and the United States for the next five years. He returned home in 1950 and reentered politics in 1959. He ran unsuccessfully for president in 1963 and continued as senator until 1973, when he retired from politics to write and teach. Uslar Pietri wrote many more essays and several more novels in the years between his departure from the political scene and his departure from the ‘‘mortal coil,’’ maintaining a role for himself as a critical commentator on Venezuela’s different political and social controversies. Perhaps his best-known work of this period is Robinson’s Island (1981), though he continued to write—and then dictate—newspaper columns up until shortly before his death in 2001. In 1989, Venezuela was shaken by widespread riots responding to a general decline in well-being throughout the country—in part a result of the overdependence on oil against which Uslar Pietri had warned back at mid-century. Uslar Pietri played his role in opposing the military’s violent suppression of these riots, though he was skeptical of the 1992 coup attempt and rise toward power of Hugo Chavez (who would later become president of the country), whom he saw as rather megalomaniacal. Upon his death in February 2001, in Caracas, Uslar Pietri was recognized for his many contributions—artistic, political, and intellectual—to both Venezuelan and world culture. B. Traven (18907-1969? ): An enigmatic author best known for his novel The Treasure of the Sierra Madre (1927), a tale of the corrupting power of greed and violence. The author's true identity remains a subject of much debate today. Michel Foucault (1926-1984): A controversial French philosopher and sociologist, Foucault's work ranges from criticism of social institutions, most notably the prison system, to the history of sexuality. His death was the first well-known AIDS-related fatality in France. Norman Mailer (1923-2007): A novelist, poet, playwright, film director, and journalist, Mailer was a true American Renaissance man. One of the founders of the so-called New Journalism, also called creative nonfiction, Mailer won the Pulitzer Prize twice. Alejo Carpentier (1904-1980): A Cuban writer acknowledged as one of the earliest Latin American authors to create works of magic realism. Miguel Angel Asturias (1899-1974): A Guatemalan poet and novelist famous for his incorporation of Mayan myths into modern fiction with his novel Men of Maize. Marcos Perez Jimenez (1914-2001): A Venezuelan soldier who participated in a coup in 1945 and the subsequent military junta that ruled the country from 1948 to 1952; that year he was declared president outright. He ruled as virtual dictator until 1958, when rioting mobs forced him to flee the country. The House of the Spirits (1982), a novel by Isabel Allende. In the first novel from the acclaimed Chilean author, the tradition of magical realism is carried forward with this tale of a family's experiences, including spirit intervention and paranormal phenomena, over four generations. Men of Maize (1949), a novel by Miguel /Angel Asturias. Written by one of Uslar Pietri's Parisian roommates, this novel indicts capitalism for the devastating effects of capitalists' greed upon Latin America's indigenous peoples, while simultaneously delving into native myths, magic, and lore. The Aleph (1949), a collection of short stories by Jorge Luis Borges. One of the acknowledged masters of magical realism, Borges' stories in this work deal largely with concepts of infinity and the universe. ''The Nose'' (1836), a short story by Nikolai Gogol. Although this short story by the Russian author predates the term by over a century, it is clearly a work of magical realism, as it tells the tale of a bureaucrat's nose that detaches from its owner's face and goes on to live its own life. Uslar Pietri’s early works secured for him a place in literary circles, especially among some of the most noted Latin American authors; Mario Vargas Llosa called The Red Lances the work that first brought world attention to the Latin American novel. This status allowed him to experiment with magic realism (a term he coined in 1948 to describe ‘‘the depiction of man as an element of mystery surrounded by realistic data,’’ or ‘‘a poetic intuition or denial of reality.’’) and to continue writing political essays without worrying about pleasing either his critics or his constituency. While not as widely recognized as that of many of his literary contemporaries or successors, Uslar Pietri’s part in revolutionizing literature in Venezuela earned the appreciation of his compatriots and the respect of critics. Magical Realism. Uslar Pietri was perhaps best known for his short fiction; the publication of Barrabas, and Other Stories in 1928 revolutionized the genre in Venezuela, departing from a local emphasis and experimenting with modernistic and surrealistic techniques. Barrabas also contains the author’s first work in the Latin American genre of magic realism, which he would continue to develop in later compilations such as Net. National Interpretation. Uslar Pietri’s ‘‘novels of national interpretation’’ eschew these more experimental styles in dealing with historical subjects, somewhat typical of Latin American novels of the 1920s and 1930s. He enlisted the aid of stock characters, narrative structure, and local dialect common to the genre but added his own realistic twist: most of the characters in the conflicts have no real idea of how or why they are part of the given situation of the plot. His first and most acclaimed novel, The Red Lances, dramatizes Venezuela’s war for independence from Spain by following several characters. While the novel’s broad scope and poetic language give it an epic cast, it is also brutally honest in its treatment of the violence of war. Uslar Pietri’s later novels, including Robinson’s Island, earned him laurels because of his innovative use of nonlinear time. Arturo Uslar Pietri has been acclaimed as one of the best short-story writers in contemporary Latin American literature. Although his novelistic talent has not received the unanimous recognition given to his skill in the other narrative genre, many critics feel he deserves to be considered one of the most able practitioners of the historical novel in Latin America. 1. What motivated Uslar Pietri to write The Funeral Mass? Is the motivation clear in the text? 2. How does history inform and influence Uslar Pietri’s work? How do you think Uslar Pietri views history? 3. Research Venezuelan folklore traditions. How are they expressed in Uslar Pietri’s work? Describe a few of your own folkloric traditions. 4. Uslar Pietri set The Red Lances during a time he considered to be a defining point in Venezuela’s national character. If you were to write a historical novel set in a similar character-defining moment in your own nation’s history, what era would you choose? Why do you think Uslar Pietri made his work brutally realistic? Would you follow his example in your own novel? Why or why not? Benson, Nathan W. The Non-savage Primitive in Selected Short Stories by Arturo Uslar-Pietri and Salvador Salazar Arrue. Provo, Utah: Brigham Young University Press, 1993. Dictionary of Literary Biography. Vol. 113: Modern Latin-American Fiction Writers. First Series. Edited by William Luis. A Bruccoli Clark Layman Book. Detroit: Gale, 1992. Foster, David William, and Virginia Ramos Foster. Modern Latin American Literature. New York: Ungar, 1975. Reid, John T. ‘‘Knowing Venezuela through Books.’’ Hispania 36, no. 3 (1953): 289-90. Roque-Baldovinos, Ricardo. ‘‘The ‘Epic Novel’: Charismatic Nationalism and the Avant-Garde in Latin America.’’ Cultural Critique 49 (2001): 58-83. Salgado, Maria A. ‘‘Trends of Spanish American Fiction since 1950.’’ South Atlantic Bulletin 43, no. 1 (1978): 19-29.